A buzz word in the beauty industry, micro needling involves exactly what its name suggests: running small needles over your face. It has garnered interest of beauty junkies globally, especially after many celebrities openly share their micro needling experience on social media. 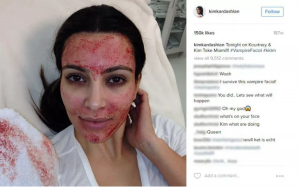 The most widely discussed being Kim Kardashian’s ‘vampire facial’ experience which was featured on camera in her show. The most common form of micro-needling in Singapore is performed through the use of derma rollers, a cylindrical drum which looks like a miniature paint roller studded with many tiny needles. Youtubers all over the world have also been sharing about their DIY derma roller experiences on their personal channels, raving about benefits which include wrinkle reduction, anti-pigmentation, brightening of dull skin, removal of scars and even cellulite reduction. Q: How does rolling a device with needles over the skin help with restoring it to a youthful state? Micro-needling works via creating superficial injuries in the epidermis, the outer most layer of the skin. By constructing numerous micro-punctures, we create a controlled injury site which prompts our skin’s self-healing mechanism to promote collagen and elastin synthesis in the area. This result in firmer, smoother and youthful-looking skin. The procedure also pierces through the protective layer of the skin, allowing improved absorption of topical products, enhancing the beauty properties of the products applied. Q: Is micro-needling safe for all skin types? Are there any particular skin conditions that should avoid micro-needling? Anybody with inflamed skin such as active acne should avoid micro-needling as bacteria from the troubled area can spread easily, posing a high risk of inflammation to other parts of the skin. Q: There are a lot of Youtubers DIY-ing micro-needling, is it safe? 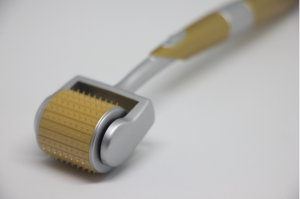 Anything can be DIY-ed, especially with micro-needling where derma rollers are readily available in the market. However, certain protocols related to sterility and application must be adhered to ensure a safe and effective treatment. There are different grades and quality when it comes to derma rollers. By selecting medical-grade derma rollers which have been tested and put through a stringent sterilisation process, you can be sure that the roller is throughly clean and suitable for use on your face. The material of the needles also play a part in determining the effectiveness of the treatment. For example, soft needles become blunt easily and are unable to withstand the stress of continuous rolling while needles that are too think might cause bleeding and introduce an infection to the skin. In general, the quality of industrial grade needles remains questionable. Selecting and preparing the right equipment is only the first step to a safe and effective treatment. A trained professional is equipped with the necessary knowledge and skill to perform the procedure without causing any unnecessary damage to the skin. Applying proper amount of pressure and rolling the right direction are issues an inexperienced user are likely to face. There is also a chance for an individual to accidentally scratch his or her own skin. When DIY-ing micro-needling, it is important to note that reusing of rollers without adequate sterilisation poses high risks of infection and should be avoided. Q: Are there potential side effects of micro needling? When micro-needling sessions are carried out too frequently, the skin may not be given sufficient amount of time to heal completely and that may lead to irritation or scaring. The skin can also become sensitive and will be exposed to to constant environmental aggression. There is also a risk of post-inflammatory hyper-pigmentation when the skin is overly stimulated over a prolonged period of unsupervised over-aggressive micro-needling use. Q: Should micro-needling be paired with other procedures/topical products for best results? Yes, micro-needling work on its own but produces an amplified effect when suitable facial products are applied, maximising mechanical and pharmacological results. However, pairing micro-needling with topical products is a double edged sword. As micro-needling causes skincare products to be absorbed more deeply, all results, positive or negative, will be magnified. There is also a chance that your skin become more sensitive or react more intensively to products you normally use. Micro-needling is an effective procedure both when done both professionally and at home although it is highly recommended for it to be performed under the supervision of a qualified personnel. You will need to weigh the risks that you will be undertaking before trying micro-needling at home as it is, at the end of the day, a procedure which poses potential risks to the skin. Looking for a micro-needling experience by trained professionals? Nu.Reflections Face & Body Clinics has formulated a facetheraphy, Nu.Derma Restore, which combines micro-needling with high-concentration stem cell products. Eliminate imperfections by rebuilding collagen fibres beneath your skin. Derived from patented umbilical cord lining extract, Calecim Professional Skincare can treat multiple signs of ageing. When used in conjunction with derma rollers in Nu.Derma Restore, it amplifies the skin’s natural restoration process, resulting in improved aesthetic results, as well as reducing post-procedure downtime and discomfort.